MIAMI — Jake LaMotta, the former middleweight champion whose life was depicted in the film "Raging Bull," has died at the age of 95. His fiancée, Denise Baker, says LaMotta died Tuesday at a Miami-area hospital from complications of pneumonia. The Bronx Bull, as he was known in his fighting days, compiled an 83-19-4 record with 30 knockouts. LaMotta fought Sugar Ray Robinson six times, handing Robinson his first defeat. He lost the middleweight title to him in what became known as the St. Valentine's Day Massacre. 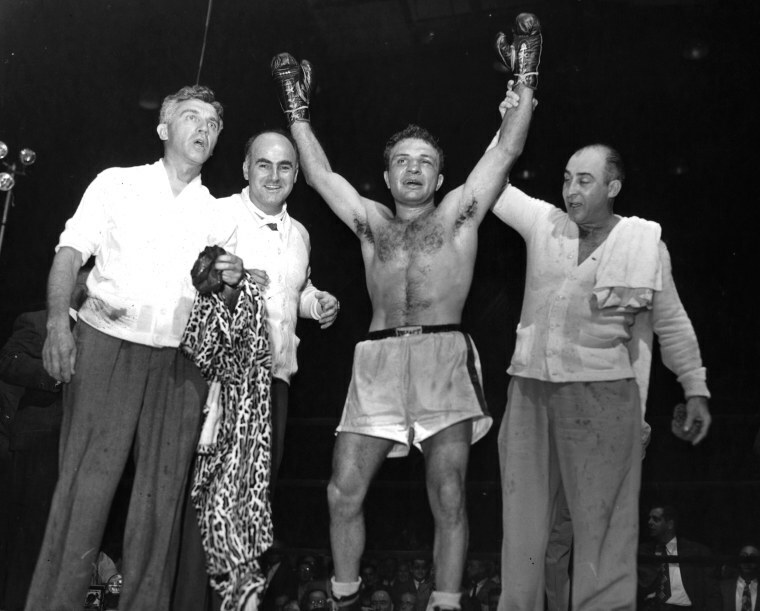 In his previous fight, LaMotta saved the championship in movie-script fashion against Laurent Dauthuille. Trailing badly, LaMotta knocked out the challenger with 13 seconds left. LaMotta threw a fight against Billy Fox, which he admitted in testimony before a U.S. Senate committee. He said he was promised a shot at a title. On June 16, 1949, he became middleweight champion when Marcel Cerdan couldn't continue after the 10th round. The 1980 film "Raging Bull" was based on LaMotta's memoir. Actor Robert DeNiro won an Academy Award for it.